Your home should be a place to relax and unwind. If you are tired of battling bugs in your home, you don’t have to do it on your own! Let the experts at Corbett Exterminating show pests who’s boss. 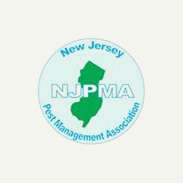 A comprehensive pest inspection to determine the most common entry and exit points in your home. A dedicated, local Jackson exterminator who works with you throughout the duration of our partnership. Effective and affordable pest control treatments to eliminate your pest problem and prevent future ones. Here at Corbett Exterminating, our pest control exterminators in Jackson are highly skilled and consistently trained to ensure they’re up-to-date on the safest and most effective techniques in the pest control industry. We’re also committed to providing you with an exceptional customer service experience, from your first call to our office to your recurring visits from our technicians. 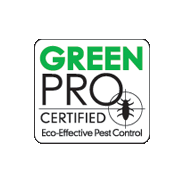 Trust the team that’s been providing the most effective pest control in Jackson since 1976! We understand, you don't want to wait around when there are pests in your home. That's why Corbett Exterminating offers 24/7 service on our pest control in Jackson! When you need relief from pests— and you need it fast—we can have one of our local Jackson exterminators out as soon as possible! 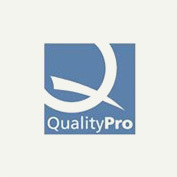 You can count on us to provide you with the fastest, most thorough pest control in Jackson! We believe you deserve a pest-free home all year. Our mission is to rid your home of pests and keep them out for good. The best way to ensure long-term pest management is through regular, recurring pest control treatments. Rather than mask the problem with consistent chemical treatments, we believe in getting to the root of the problem. We’ll identify where pests enter your home and eliminate their breeding grounds so you don’t have to worry about persistent infestations. Our pest control treatments in Jackson protect your home in every season, so you can relax and enjoy a pest-free space all year long! and many more common pests! Discovering rodents living inside your home is more than just unsettling - it can put your family’s health at risk. Rodents can carry bacteria into your home and spread diseases like Salmonella, Hantavirus, and Typhus. They can also contaminate your food or cause allergic reactions. If you’ve spotting rodent droppings in closets, basements, or your attic, or heard rodents scurrying in your ceiling, floorboards, or behind your walls – it’s time to get help! Our Jackson rodent control services are designed to eliminate rats and mice in your home quickly, efficiently, and in the least invasive way possible. Our team of expert exterminators in Jackson are here to help you get relief from nuisance wildlife. Here at Corbett Exterminating, we have over 40 years in wildlife removal experience, and our technicians complete rigorous on-the-job training to deal with even the toughest wildlife problems. 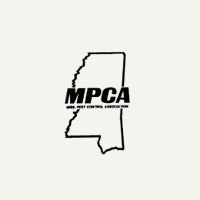 When you call us, you can rest assured knowing our animal control in Jackson is guaranteed. After we have gotten rid of every last bed bug, our technicians will discuss prevention and control strategies with you to prevent another infestation from occurring. If you're ready to take back your home for good, give us a call and ask about bed bug treatments in Jackson today! When rodents are making themselves right at home in your home, time is of the essence! Rats and mice are notorious for reproducing quickly, so one rodent can quickly become a much larger problem. Our Jackson rodent control specialists have the experience and skill to handle a rodent infestation of any size. We begin with a thorough inspection, looking for access points where rodents might be gaining entry to your home. Then our highly-trained exterminators develop a custom treatment plan tailored to your specific needs. We use a combination of baits, traps, and EPA-approved formulas to eliminate your rodent problem, and we always conduct a thorough follow-up visit to ensure that rodents haven’t returned. If you need a guaranteed solution to get rid of rats and mice in your home in Jackson, look no further. You shouldn't have to let rodents take a toll on your peace of mind or the health of your family; and with Corbett Exterminating on your side, you won't have to! Let’s send household pests packing.